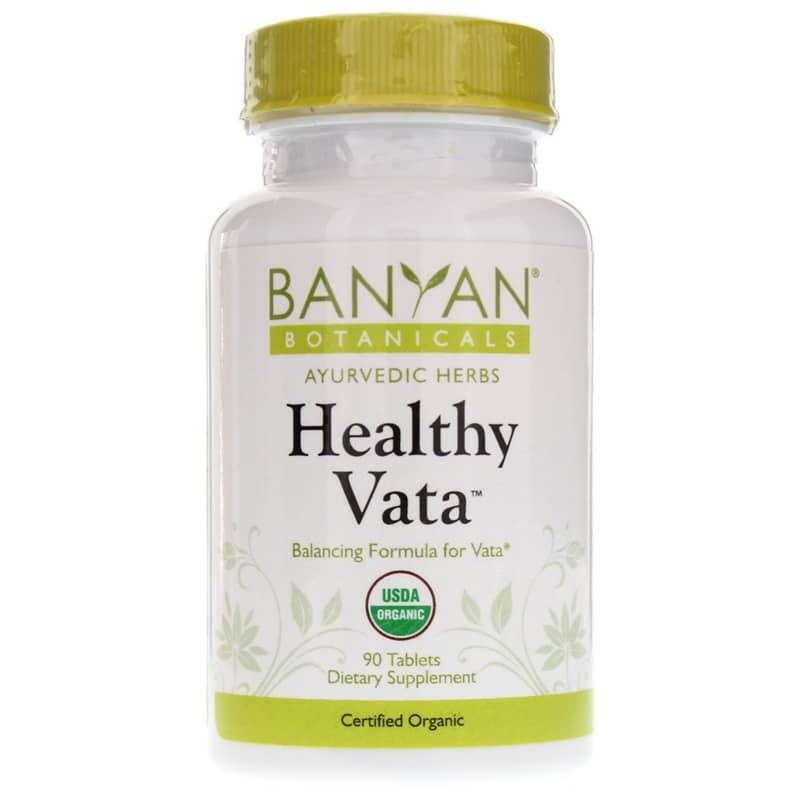 Healthy Vata from Banyan Botanicals contains herbs that are traditionally used to balance Vata dosha. 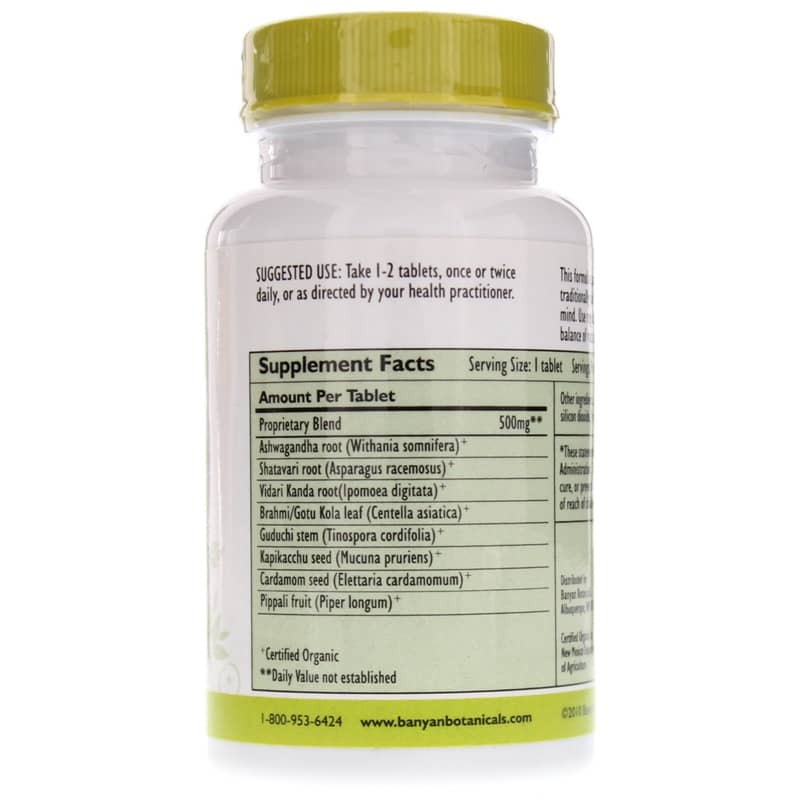 Daily use removes excess Vata from the system while promoting energy and vitality. Made from certified organically grown herbs that are sustainably sourced and fairly traded. Contain no animal products and suitable for vegetarians. Healthy Vata is a rejuvenating blend of herbs formulated specifically to balance vata dosha without aggravating pitta or kapha. It may be used year-round by those with vata constitutions to support overall health and well-being. Healthy Vata may also be used by any constitutional type that is experiencing a temporary vata imbalance. For those with a dual constitution that includes vata or a tridoshic constitution it is an excellent formula for vata season, which in most parts of the world is autumn and early winter. This time of year tends to be cool, windy and dry - All qualities that can aggravate vata. Healthy Vata contains herbs that help the system remain balanced throughout the season. 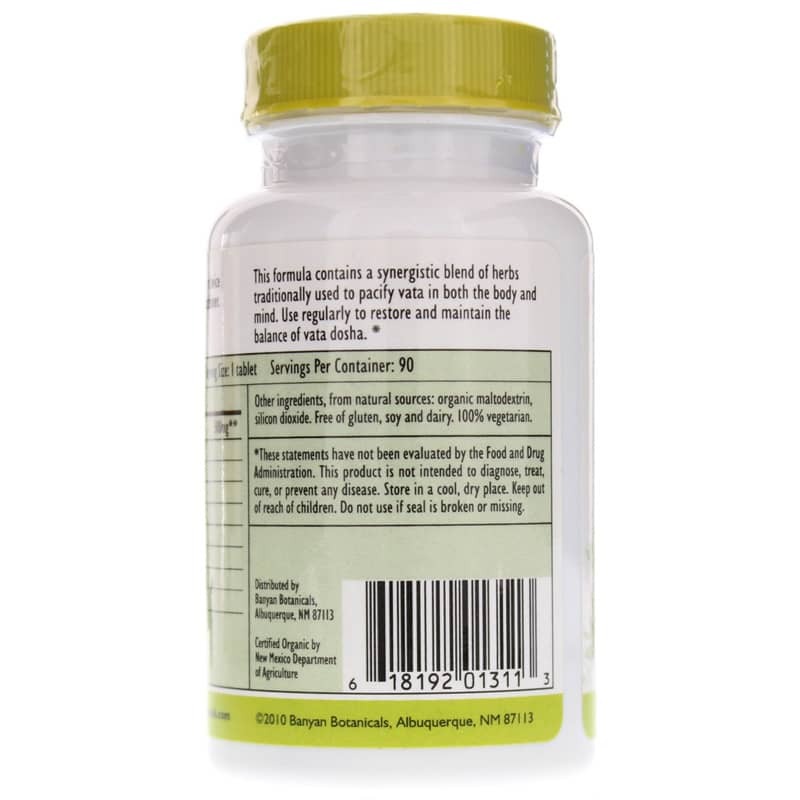 Vata also naturally increases as we age, so Healthy Vata makes an excellent formula for seniors experiencing what Ayurveda calls "the vata stage of life". Healthy Vata is a natural remedy containing vata balancing herbs. It is a broad spectrum vata pacifying formula that may be used for all manners of vata imbalances. It supports those with vata constitutions and vata imbalances, by helping to balance vata dosha. Other ingredients: organic corn starch, soy lecithin (non-GMO).